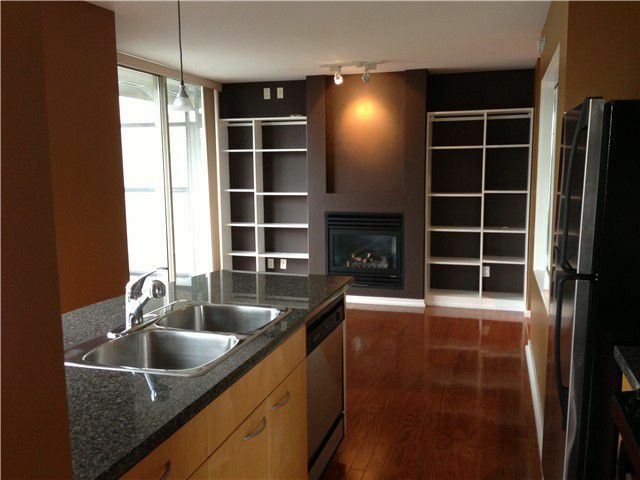 Great 1 Bedrm + Den corner unit with City view. Features include a hardwood floor, stainless steel appliances, granite countertops, built in shelving & double sink. This excellent building has 2 guest suites, a gym & Hot tub, Steam room, billiards & party room PETS & RENTALS OK.